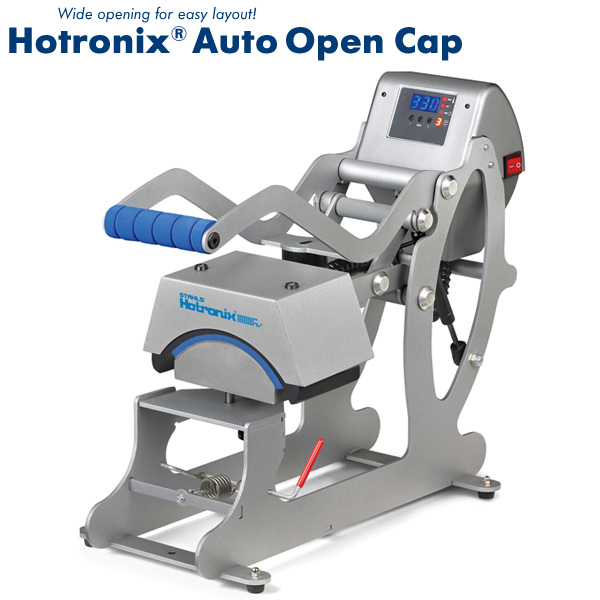 This Stahls Auto Opening Cap Press features automatically release without the support of an air-compressor and magnetic assisted lock down for highest pressure with minimum effort. This cap press machine also having fully digital timer and temperature controls. The space saving clam shell design model Let you more room for several heat press which helps create an location for highest potential and manufacture.